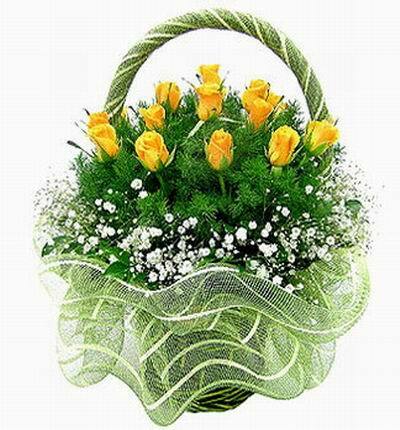 12 Roses, Baby's Breath and Greenery in basket. Note: Should an item or color not be available, substitutions may apply. Petalpoints can be used for free gifts and upgrades. Flat delivery fee of USD 12.95 .